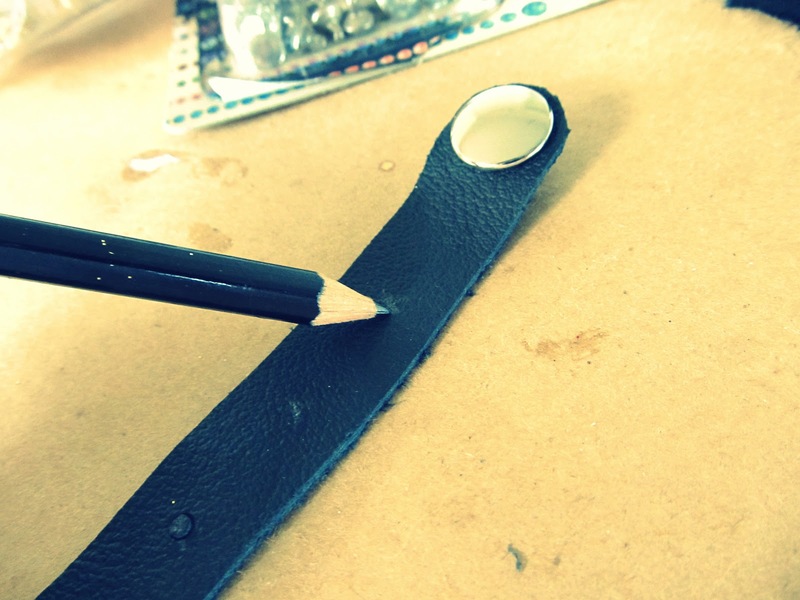 WobiSobi: Leather and Rhinestone Bracelet, DIY. 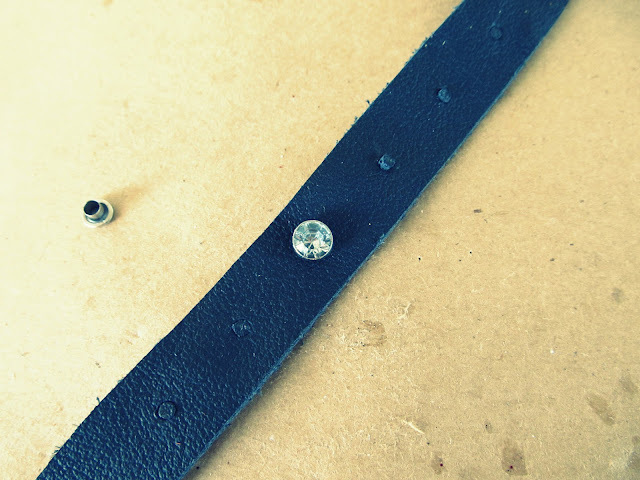 Leather and Rhinestone Bracelet, DIY. I love the look of leather and rhinestones. 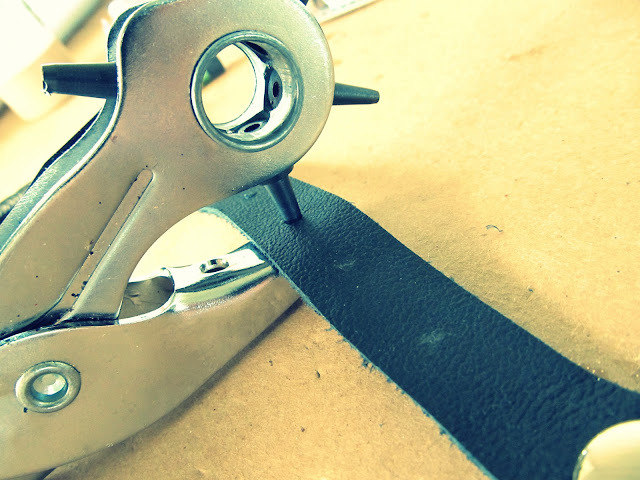 Cut a strip of leather 1 inch wide by 8 inches long. or measure your wrist to get a measurement for you..make sure the leather over laps about a inch. Following the snap instructions attach your snaps. Make sure your snap fits, and it does not hang over. *I measure about a 1/2 of an inch in. Mark where you want to put your rhinestones. * Start in the middle and work your way to the end. I marked mine almost an inch apart. 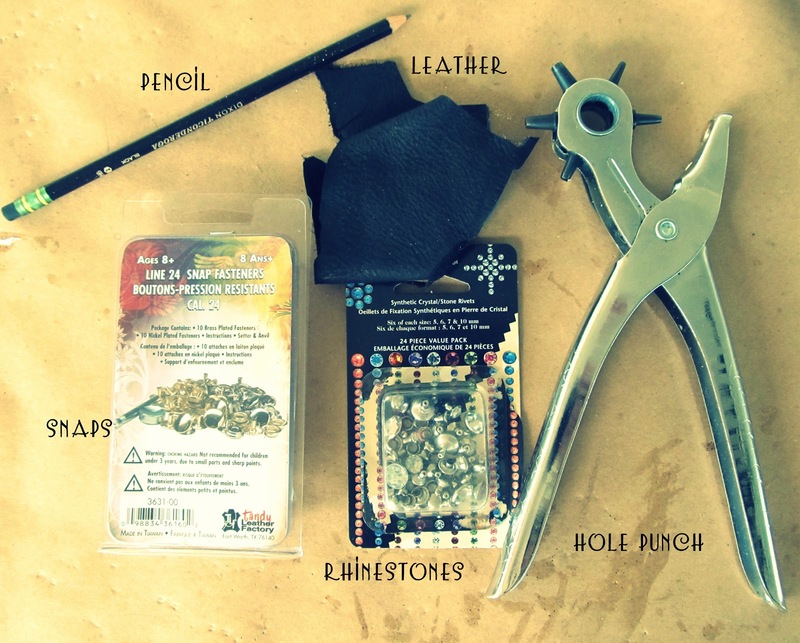 Put your rhinestone through the hole. Turn it over and put the back on. Then lightly tap with a hammer to lock it into place. I am going to stress lightly. 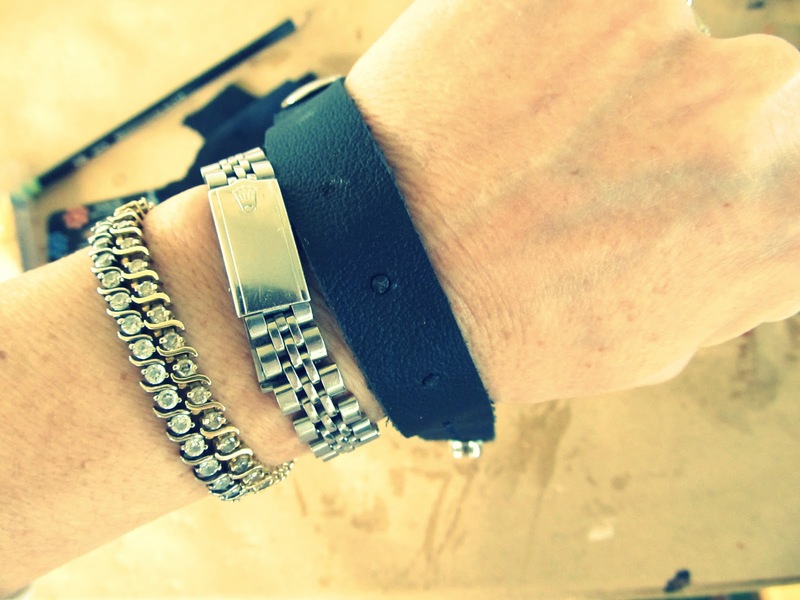 HERE and HERE are some other rhinestone and leather bracelets I did a while ago. I hope your Halloween was Spooky and wonderful. 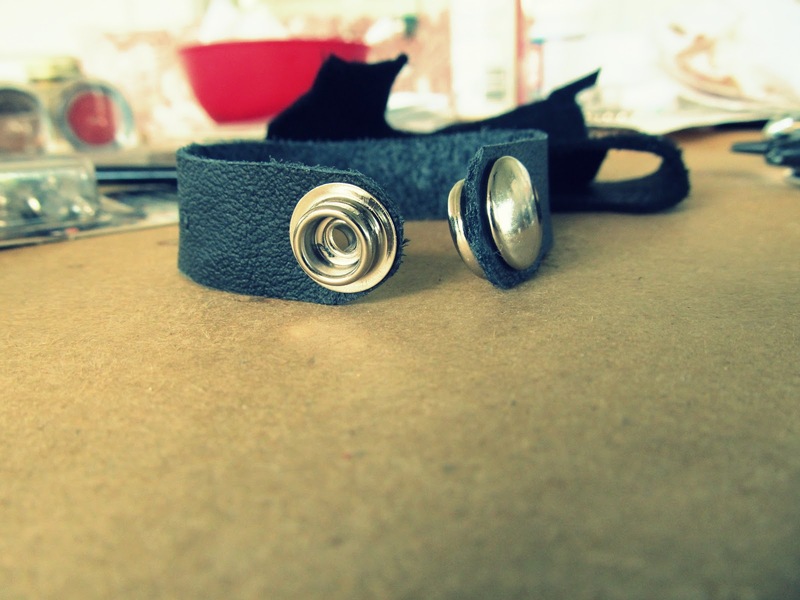 These would make really great gifts (if I could somehow get the measurements of a few people's wrists)since I'm already starting on holiday gifts! 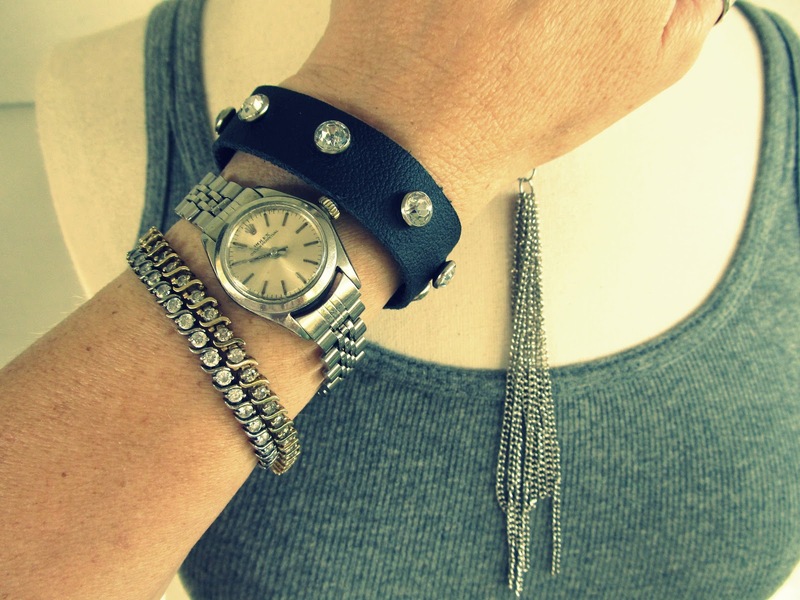 You could change the leather and rhinestone color to match the tastes of the recipient. Posted the top photo and a link back to your blog on Trueblue. They would make great gifts:) thank you Luv!! love leather & love rhinestones....yours is so fabulous! hey there pretty lady! Love the bracelet? I was wondering...do you sell any of your jewelry? you should! Hey Breeanna, I do sell some of my stuff. I only make one or two pieces of each creation so they go fast. :) Your a dear.. I hope all is well with you. Kitty Cat, Wire Ring. DIY.